We finally got to see the sun setting into the sea with only a few bits of cloud to interrupt the view instead of obliterating it. 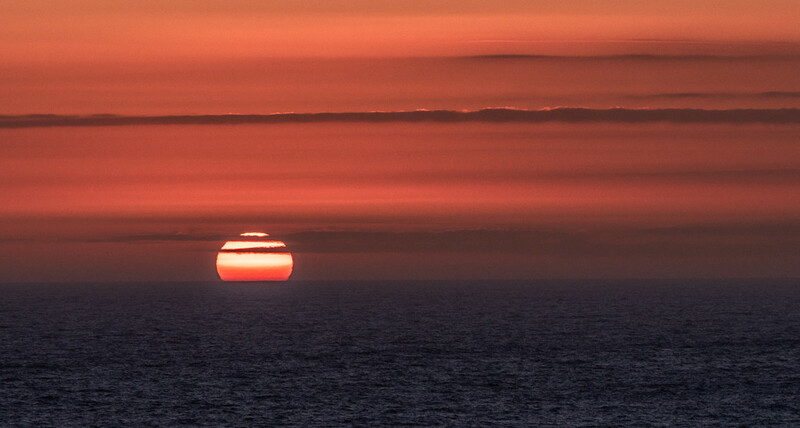 The stripes of cloud made the sun look like a Christmas bauble. Very dramatic with the clouds like that.